Timor-Leste (East Timor) has a rich history and culture developed over centuries. Archeological evidence, including ancient rock art and stone carvings, indicate people have been living in Timor-Leste for over 4,000 years. The early Austronesian hunter-gather arrivals were later joined by Asian migrants who introduced agriculture. Over time, Timor-Leste became divided into a number of small kingdoms – with skirmishes frequent between the differing tribal groupings. From as early as the 13th century, there are records of visiting Javanese and Chinese traders drawn by sandalwood, honey and wax. In the 15th century, both Dutch and Portuguese started arriving, eventually resulting in Timor-Leste becoming a Portuguese colony for over 400 years. While the Portuguese introduced coffee production, along with sugar cane and cotton, their rule was also a time of periodic bloody uprisings as they raised local taxes and used forced labour in construction plantations. Missionaries soon followed spreading the Catholic faith. 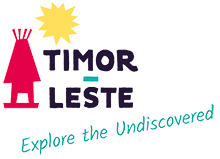 As the colonists were mostly concerned with trading and for the best part concentrated their presence around the coast, the traditional lifestyle and animist beliefs of most Timorese remained relatively unchanged well into the 20th century. The Japanese were the next invaders, occupying Timor-Leste during WWII, following the landing of Australian troops. 40-60,000 Timorese are estimated to have died as a result of horrific repression and associated starvation. In 1975, after the Japanese defeat, withdrawal of the Portuguese and Timor–Leste’s subsequent declaration of independence, Indonesia launched a full scale invasion. A 24 year period of ‘pacification’, costing the lives of more than 200,000 Timorese from violence and associated disease and famine followed. Spirited Timorese resistance and concerted efforts at the United Nations culminated in an independence referendum being held in 1999. Despite a bloody campaign of intimidation, an overwhelming 78.5% of Timorese bravely voted for independence. In retaliation, the Indonesian army and backed militia rampaged through the country, torching Dili and other towns. Nationwide, it is estimated a further 1,000 – 2,000 civilians were massacred and around 70% of services, infrastructure and buildings were destroyed. International peacekeepers eventually helped the Timorese restore peace and in 2002 the country regained its independence as the Democratic Republic of Timor-Leste, amidst huge celebrations. Since that time and with relative calm in recent years Timor-Leste’s primary focus has been on national development.